Are there no depths to which the man won’t sink? Last weekend, supposedly reformed master-criminal, Denis Cregan-Condon, was making himself out to be the best friend to all mankind, distributing “his” delicious mince pies to sundry, unsuspecting Myrtlevillians and others attending the Turkey Swim. 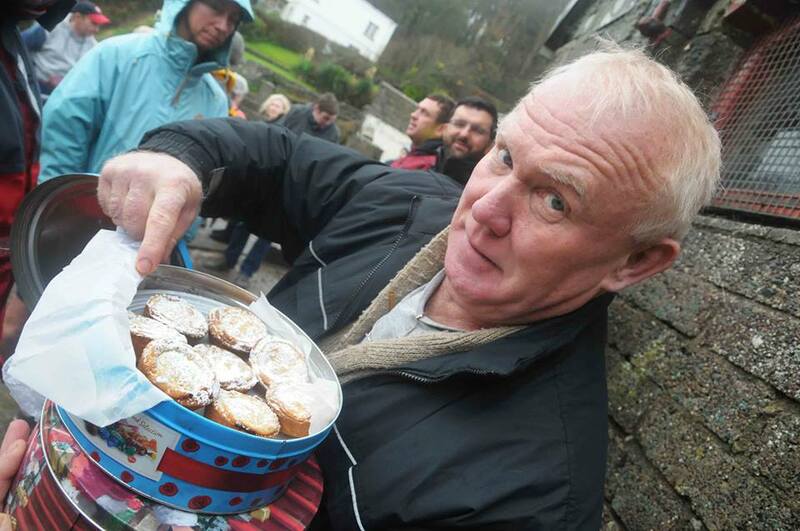 Beautiful mince pies – but look at him – would you trust this man? Our intrepid reporters can now reveal that far from baking these delicious treats himself, Cregan-Condon received the pies from Myrtleville stalwart, Tom Bermingham and then “forgot” to mention this: while basking in the glory of being “THE mince pie man”. SHAME ON YOU DENIS, SHAME!! Our reporter visited the famed Bermingham bakery where further delicious pies were being made. The rolling pin is ready for Mr. Cregan-Condon if he dares to show his face. 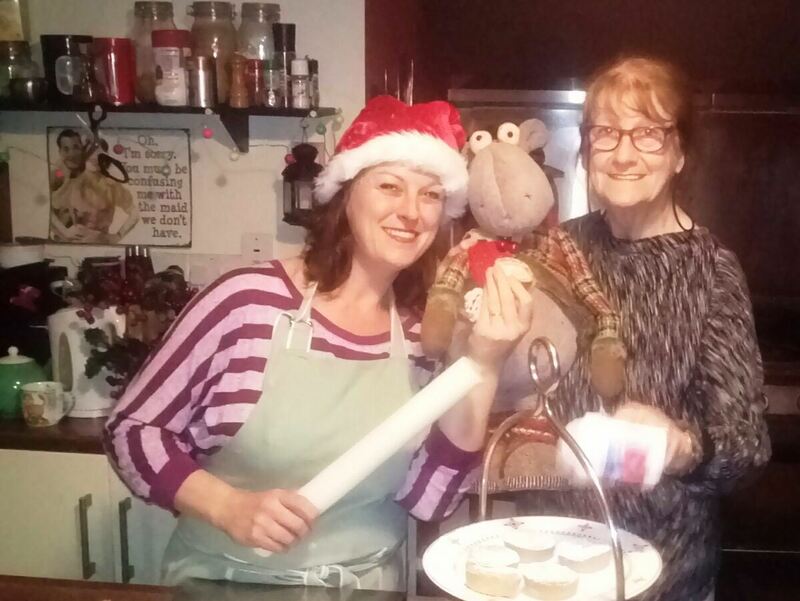 Master bakers, Kathy & Kathleen Bermingham – ready to help Denis see stars. Denis leaves a trail of infamy behind him. Watch out for him this weekend and don’t be fooled. Mrs Bermingham wants her Roses tin back too, Denis.